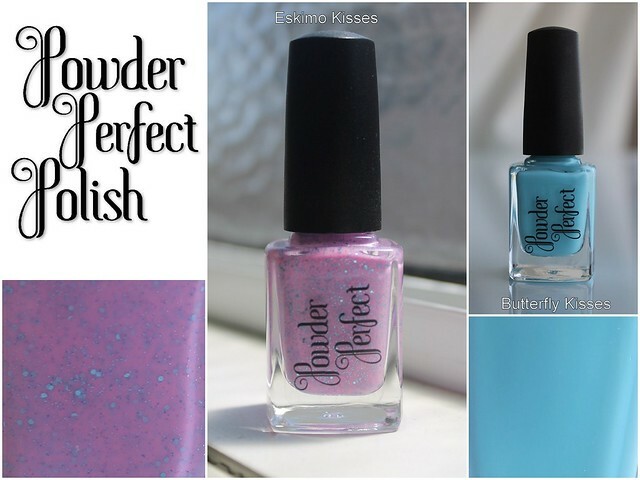 Our 16th auction lot is a beautiful duo made by the amazing Jacinta of Powder Perfect Polish. Eskimo Kisses has a soft pink creme base filled with lots of baby blue metallic glitters. It is opaque in 2-3 coats. Perfect for Spring! Butterfly kisses is a "robin egg blue" creme polish with an easy to apply formula that is opaque in 2-3 coats.